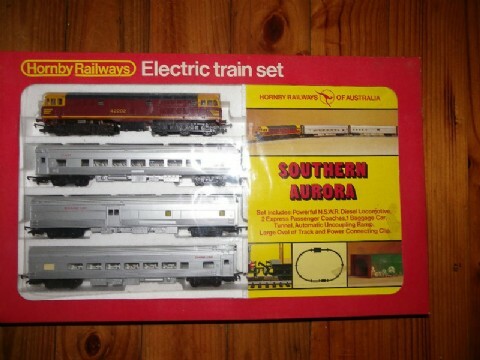 Note: In 1974 the Southern Aurora set locomotive profile was integral in a polystrene box, as were the coaches. In later sets the loco polystyrene rectangular foam inner was removable & sets then became more universal. The inner was also used by Hornby for solo locomotive sales in solo boxes.